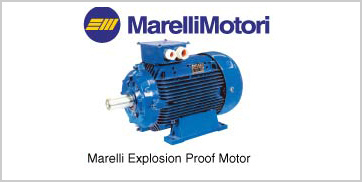 Motors suitable in potentially explosive atmospheres. Low voltage from 0.12kW to 560kW. Medium voltage from 110kW to 560kW. Aluminium and cast iron frames. Mains and Inverter supply.